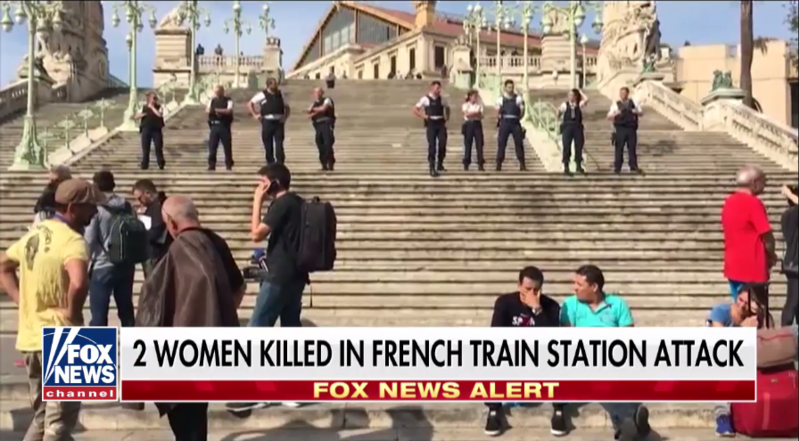 The most recent example of those kinds of attacks would be the reports of a man screaming “Allahu Akbar” while killing two women with a knife at the Marseille train station in France, in what is being reported as a “suspected terror attack.” Because there is totally a chance he could have just been praying when his body made him involuntarily hack two women to bits. The victims, reportedly 17 and 20 years-old, were killed on Sunday by a man with a knife inside of a French train station. One had her throat slashed and the other is believed to have been stabbed in the stomach. ISIS has already claimed responsibility for the attack, claiming one of their soldiers was behind the horrendous affair. It’s sadly ironic that these people can’t see the cause and effect relationship that is at work here. They are allowing people into the country with open arms and closed eyes, and then they’re shocked when some of those people are (as America warned) ISIS infiltrators looking to embed themselves into western culture before carrying out their attacks. Liberals and bleeding hearts around the world bashed Trump for wanting to restrict travel from terror-rich countries, saying it’s “unfair” and “un-American” but after events like this, it doesn’t look so ridiculous, does it?